Olvi and its subsidiaries have been in business for centuries – and responsible practices have always been a part of our operations. Responsibility is one of our corporate values and a crucial component of strategic and operational decision-making, and therefore a natural part of the company’s everyday operations. In order to better respond to the expectations and needs of different stakeholders, we want to develop the beverage industry towards more corporate responsibility, and therefore we make responsible choices ourselves and help our partners and consumers do the same. through which we communicate about our actions and objectives. 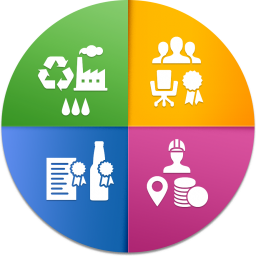 In addition to these four focus areas, one of the cornerstones of our operations is ethical business. It penetrates all of the focus areas and works like an umbrella guiding the operations.